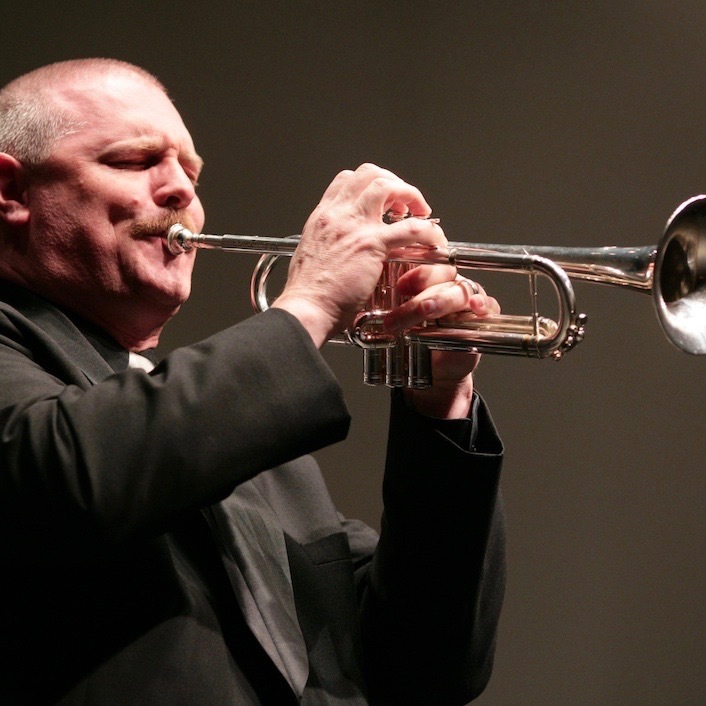 Hailed by the Boston Globe for his “dazzling, clarion brightness with elegant edges,” and in the Boston Musical Intelligencer for “virtuosity and musicality that was simply stunning,” trumpeter Terry Everson is an internationally renowned soloist, educator, composer/arranger, conductor, and church musician. He first gained international attention in 1988, winning both the Baroque/Classical and 20th Century categories of the inaugural Ellsworth Smith International Trumpet Competition. In September 1999, Mr. Everson joined the faculty of the Boston University College of Fine Arts and Tanglewood Institute; he has also served on the faculties of Asbury College, the University of Kentucky, Philadelphia College of Bible, the Las Vegas Music Festival, and the Lutheran Music Program. He is currently Principal Trumpet of the Peninsula Music Festival in Door County, WI, and Soprano Cornetist of the Brass Band of Battle Creek. He appears frequently as a recitalist and clinician, and as soloist with orchestras, wind ensembles and brass bands. While earning Bachelor and Master of Music degrees in Trumpet Performance from the Ohio State University, Mr. Everson studied with Richard Burkart; lessons with Frank Kaderabek followed over the next few years. Mr. Everson is on the Executive Committee of the National Trumpet Competition, the Board of Directors of Metro Church, is an Honorary Member of the New England Brass Band, and is a Life Member of the International Trumpet Guild, having served as Host for the Guild’s 1998 Conference in Lexington, Kentucky. Terry Everson is an Artist/Clinician for S. E. Shires Trumpets of Hopedale, MA.